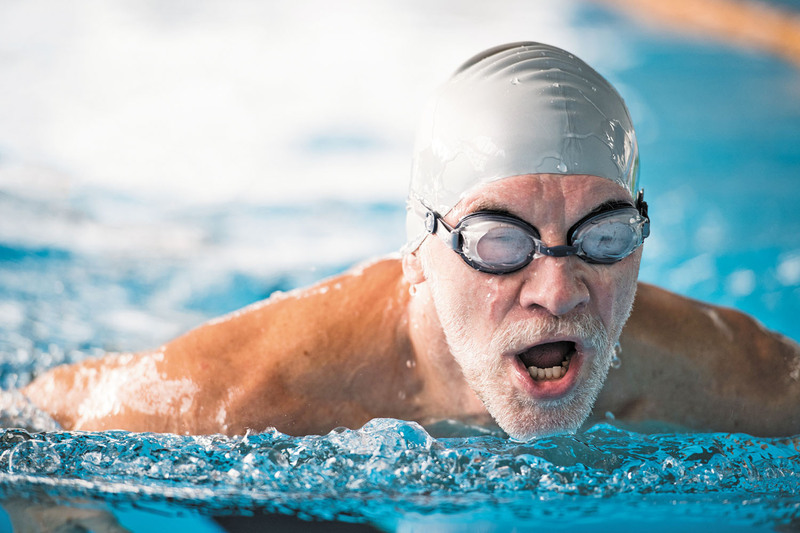 Swimming or doing water aerobics can be a good way to keep your heart in good shape. Looking for an activity to boost your heart health that's easy on your joints and doesn't leave you all sweaty? Swimming might be just the ticket. If you have access to an indoor pool, you can swim or do water aerobics year-round — and throughout much of your life. "If you were to envision an exercise you could start during childhood and continue well into your later years, swimming has to be near the top of the list," says Dr. Meagan Wasfy, a cardiologist at the Cardiovascular Performance Program at Harvard-affiliated Massachusetts General Hospital. Swimming also works many different muscles in the arms, legs, and torso. The buoyancy of the water takes the stress off your joints. That can make exercising a little easier if you have arthritis, are overweight, or are recovering from an injury.